Is Noodles & Co (NDLS) A Good Stock To Buy? The 700+ hedge funds and money managers tracked by Insider Monkey have already compiled and submitted their 13F filings for the second quarter, which unveil their equity positions as of September 30. We went through these filings, fixed typos and other more significant errors and identified the changes in hedge fund positions. Our extensive review of these public filings is finally over, so this article is set to reveal the smart money sentiment towards Noodles & Co (NASDAQ:NDLS). Noodles & Co (NASDAQ:NDLS) investors should pay attention to an increase in hedge fund sentiment lately. The number of hedge funds with bullish NDLS positions increased during the third quarter. 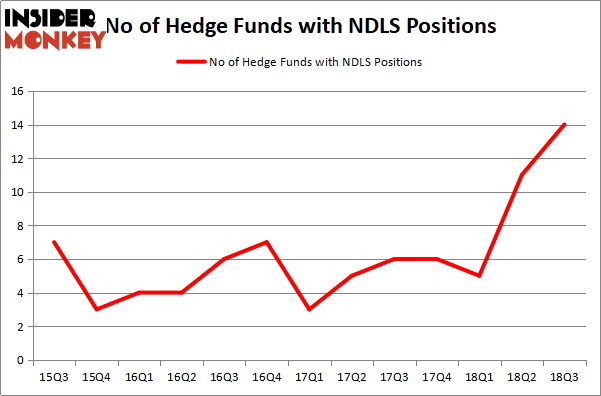 However, our calculations also showed that NDLS isn’t among the 30 most popular stocks among hedge funds. We observed another negative indicator last week when Mill Road Capital sold nearly 1.9 million shares at an average price of $8.90. We’re going to take a peek at the new hedge fund action surrounding Noodles & Co (NASDAQ:NDLS). 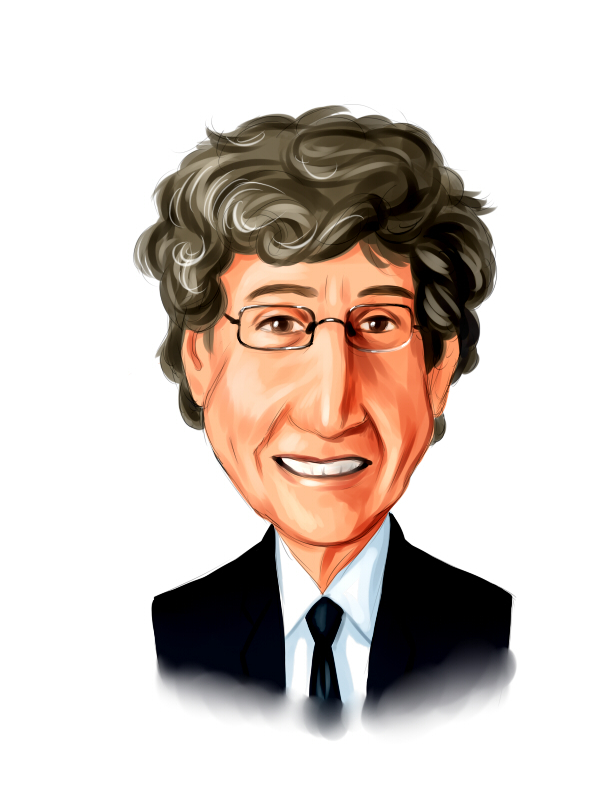 How have hedgies been trading Noodles & Co (NASDAQ:NDLS)? At Q3’s end, a total of 14 of the hedge funds tracked by Insider Monkey were long this stock, a change of 27% from the previous quarter. By comparison, 6 hedge funds held shares or bullish call options in NDLS heading into this year. With hedge funds’ positions undergoing their usual ebb and flow, there exists an “upper tier” of noteworthy hedge fund managers who were upping their stakes meaningfully (or already accumulated large positions). More specifically, Tenzing Global Investors was the largest shareholder of Noodles & Co (NASDAQ:NDLS), with a stake worth $12.1 million reported as of the end of September. Trailing Tenzing Global Investors was Driehaus Capital, which amassed a stake valued at $10.5 million. Marshall Wace LLP, Prospector Partners, and Two Sigma Advisors were also very fond of the stock, giving the stock large weights in their portfolios. Consequently, specific money managers have been driving this bullishness. Marshall Wace LLP, managed by Paul Marshall and Ian Wace, assembled the most valuable position in Noodles & Co (NASDAQ:NDLS). Marshall Wace LLP had $8.6 million invested in the company at the end of the quarter. John Overdeck and David Siegel’s Two Sigma Advisors also initiated a $4.6 million position during the quarter. The other funds with new positions in the stock are Ken Grossman and Glen Schneider’s SG Capital Management, Brian Gustavson and Andrew Haley’s 1060 Capital Management, and Paul Tudor Jones’s Tudor Investment Corp.
Let’s now review hedge fund activity in other stocks similar to Noodles & Co (NASDAQ:NDLS). We will take a look at Progenics Pharmaceuticals, Inc. (NASDAQ:PGNX), Antares Pharma Inc (NASDAQ:ATRS), Clean Energy Fuels Corp (NASDAQ:CLNE), and Nuveen Build America Bond Fund (NYSE:NBB). This group of stocks’ market caps are similar to NDLS’s market cap. As you can see these stocks had an average of 7.5 hedge funds with bullish positions and the average amount invested in these stocks was $47 million. That figure was $54 million in NDLS’s case. Progenics Pharmaceuticals, Inc. (NASDAQ:PGNX) is the most popular stock in this table. On the other hand NBB is the least popular one with only 1 bullish hedge fund positions. Compared to these stocks Noodles & Co (NASDAQ:NDLS) is more popular among hedge funds. Considering that hedge funds are fond of this stock in relation to its market cap peers, it may be a good idea to analyze it in detail and potentially include it in your portfolio.